We know it can get difficult when passengers book a ride wrongly. 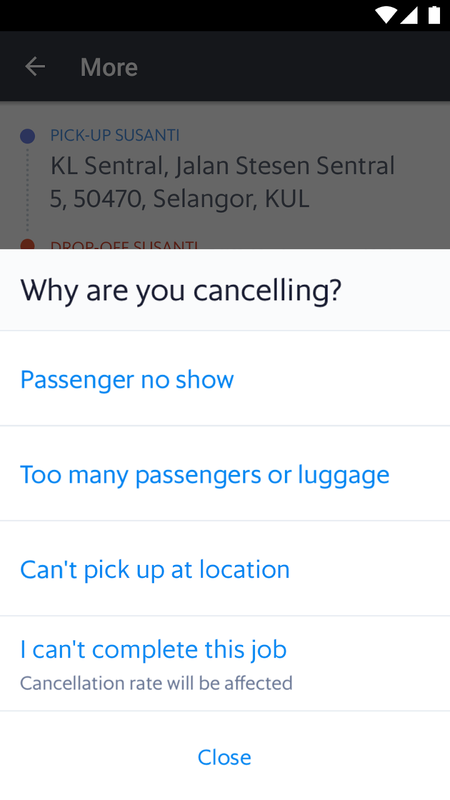 We’ve heard your feedback, and as an improvement to the passenger no-show cancellation feature, we’re introducing more cancellation reasons that will allow you to cancel jobs without affecting your Cancellation Rate (CR)! Please update your app to the latest version to use this feature! Great! What cancellation reasons are available? The best part – no waiting time is required! If the passenger does not show up at the pick-up point, or if the passenger has made an error in the booking, use the following steps to cancel the job without impacting your Cancellation Rate (CR). 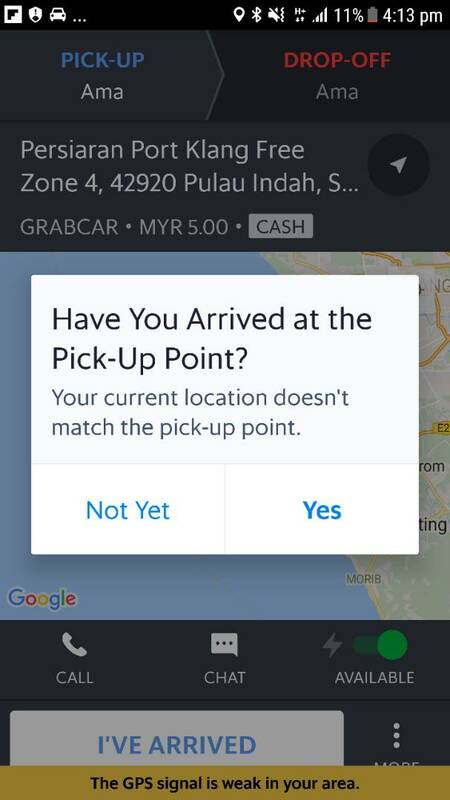 If you press ‘I’ve Arrived’ before reaching the pick up point, you will be asked to confirm that you are actually at the pick up point (as per image below). If you press yes, you will not be able to use the feature. Must I tap on ‘I’ve Arrived’ only upon arriving at the pick-up point? Yes. To use the Cancellation Feature without affecting your CR, please tap ‘I’ve Arrived’ only at the pick-up point. The feature will not be available if you are not present at the pick-up point. What happens if I tap ‘I’ve Arrived’ before reaching the pick-up point? You will be prompted that your current location does not match the passenger’s pick-up point. If you choose to proceed, the list of cancellation options that don’t affect your CR will not be available. Your CR will be affected if you cancel the job. Is there a minimum wait for these new cancellation reasons? No, there is no minimum wait time. However, for the ‘Passenger no show’ cancellation reason, a minimum wait time of 5 minutes (3 minutes for GrabShare) will still apply. Also, do ensure you are at the passenger’s pick-up point when cancelling the job. What happens if I cancel the job after driving off from the passenger’s pick-up point? The list of cancellation options that don’t affect your CR will not be available. Your CR will be affected if you cancel the job. Please only cancel the job while still at the pick-up point. I can’t see the list of cancellation options that don’t affect my CR. Why is this so? There may be issues with your phone’s GPS. Is there a minimum Grab Driver App version requirement? Yes. Please ensure that you’re on Grab Driver App version 5.43.0 (Android) / 1.30.0 (iOS) and above.